"For this reason I bow my knees to the Father of our Lord Jesus Christ, 15 from whom the whole family in heaven and earth is named, 16 that He would grant you, according to the riches of His glory, to be strengthened with might through His Spirit in the inner man, 17 that Christ may dwell in your hearts through faith; that you, being rooted and grounded in love, 18 may be able to comprehend with all the saints what is the width and length and depth and height— 19 to know the love of Christ which passes knowledge; that you may be filled with all the fullness of God." Even though Paul was in prison at the time of this writing, he prayed for his brothers and sisters in Ephesus, not that they would be healed of disease or delivered from demonic oppression or or from persecution. Paul prays that of ALL the riches of God the Father's glory that they be filled with the Holy Spirit, "to be strengthened with might through HIS Spirit in the inner man" so that they may be able to begin to grasp the fullness of God, which is beyond understanding in human terms - width, length, depth or height - but is only possible by the supernatural infilling of the Holy Spirit. Paul states that it is by way of immersion in the Holy Spirit that Christ can truly "dwell in our hearts". 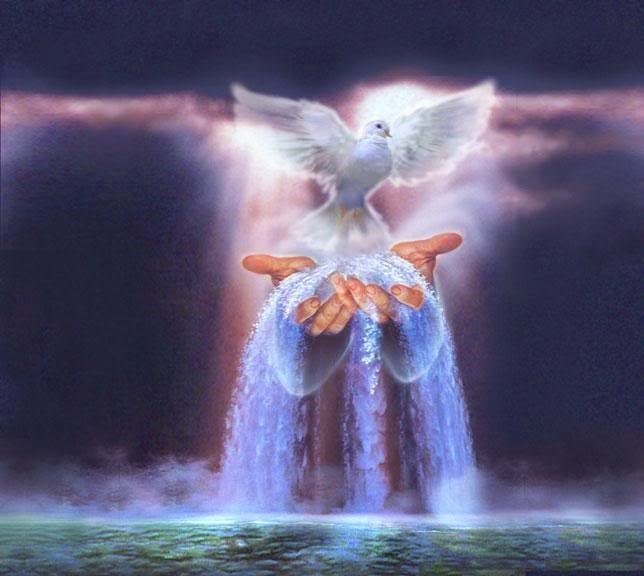 This is the baptism into the Holy Spirit - the baptism into Jesus Christ.